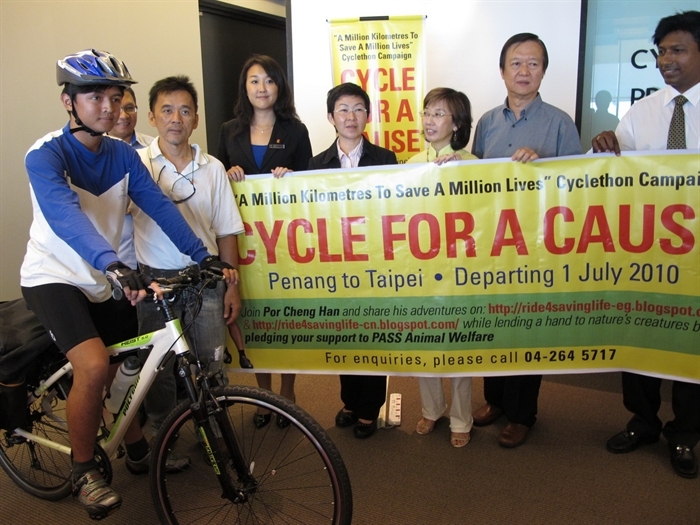 ANIMAL lover Por Cheng Han will embark on a 6,000km journey by cycling from Penang to Taipei in an effort to raise RM50,000 for the Penang Animal Sanctuary Society (PASS). His journey, which will start on July 1, is expected to take three months to complete. 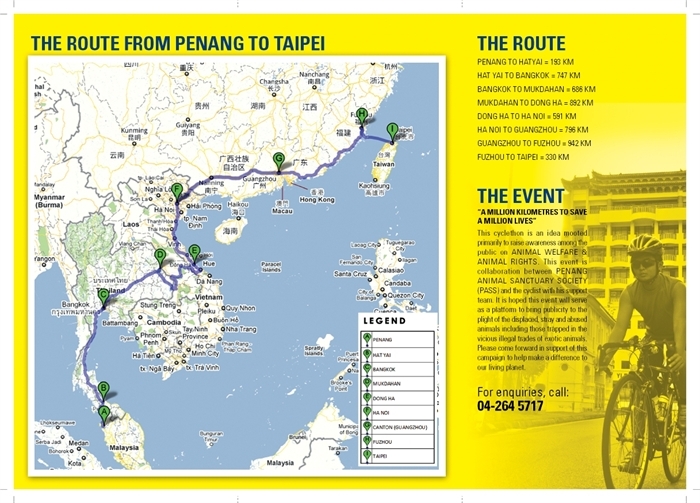 He will cycle to Taipei, the capital city of Taiwan, via Thailand, Cambodia, Vietnam, Laos and China. Other than raising funds, the 21-year-old student from Han Chiang Junior College will also aim to create awareness about animal rights and welfare throughout his journey organised by PASS. 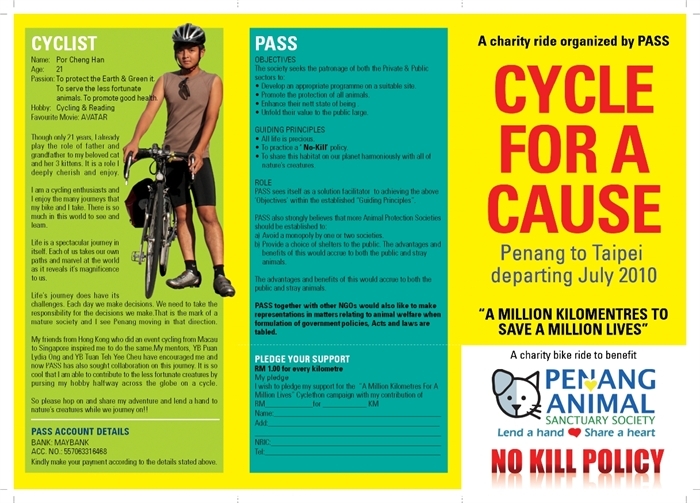 Adventurous cyclist: Por ready to cycle from Penang to Taipei to help raise funds for the Penang Animal Sanctuary Society. State Youth and Sports Committee chairman Lydia Ong Kok Fooi said she was amazed by the young man’s courage to take on this epic journey alone. “Por will document his journey through his camera lens. He will also blog about his adventures across half the Asian continent and everyone will be able to follow his adventures as it unfolds. “He will also visit other animal sanctuaries and spread the message about global warming and nature conservation,” she told a press conference on Monday. To contribute money to Por’s campaign or make enquiries, call Nornee at 04-2645717.